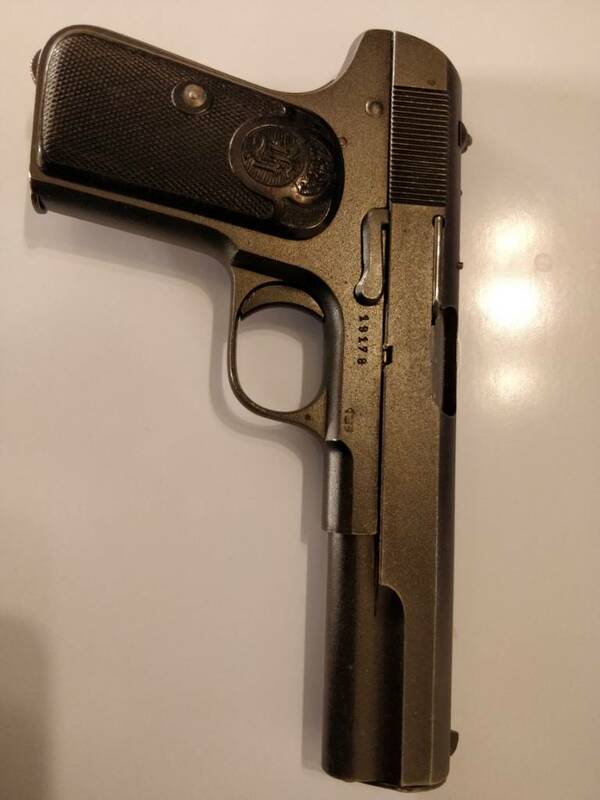 Originally chambered in 9MM Browning Long (9x20) most of these guns were rechambered (with a barrel insert) to .380 when they were imported into the US in the 1950s and 1960s; it also means there isn't any import marks on the gun either! 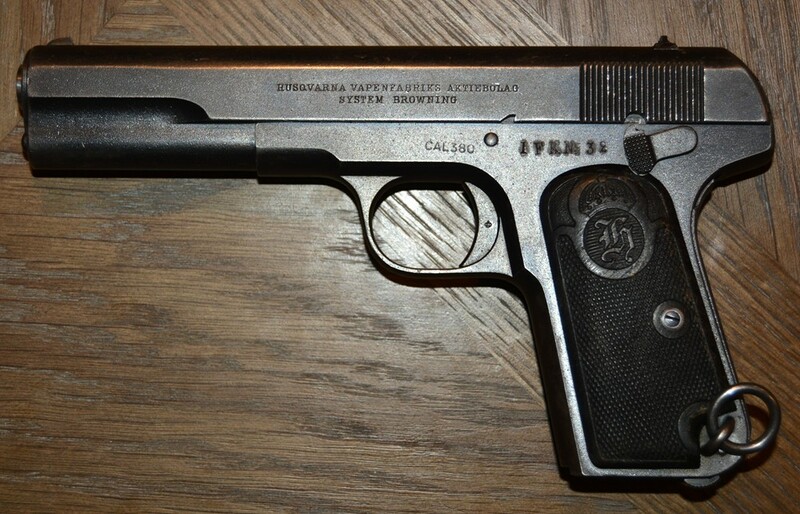 The Model 1907 was originally manufactured by FN in Belgium who then licensed Sweden (by Husqvarna) to make their own. 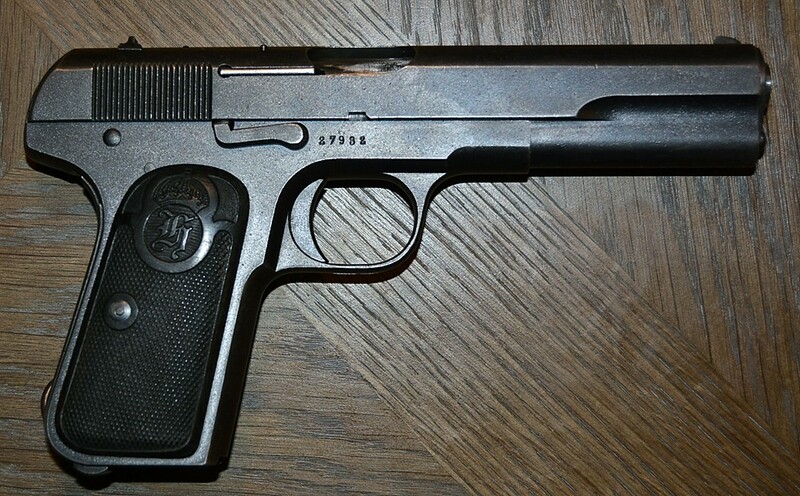 It was used as the primary side arm of the Swedish Military until 1940 when the Lahti M-35 in 9mm was adopted. They were placed in storage and in the 1980s they were pressed back into service as the Lahtis were suffering cracks due to using higher pressure 9mm ammo! They were replaced by the Glock 17 and 19. 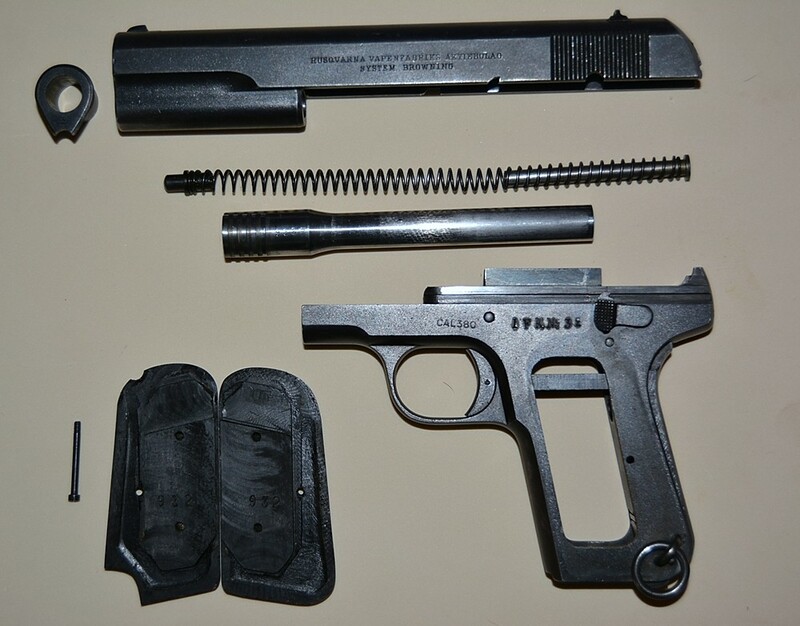 The gun came with a holster and three unmarked magazines. There are 9mm Browning Long barrels available. 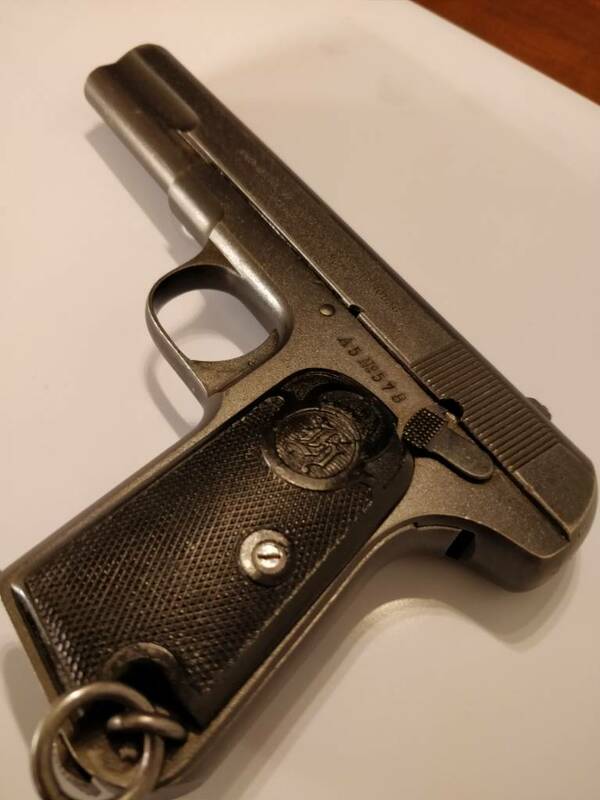 Other then caliber the two differences between the 1907 and the Colt 1908M is barrel length - the Husqvarna made gun has a 5" barrel and a slide stop on the right side of the gun. 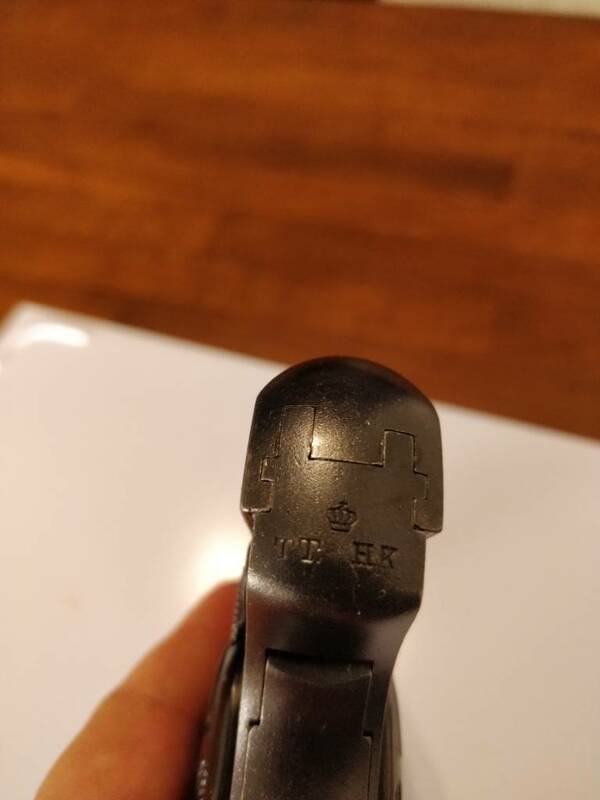 My gun has a Swedish Unit Mark on the left side of the frame: IFK No. 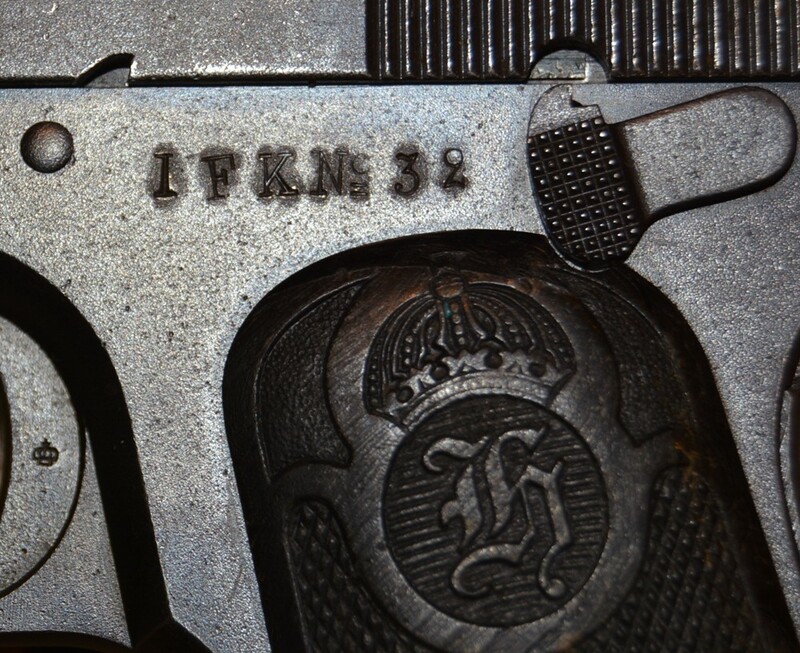 32; I've learned that the I stands for Infantry; but haven't got any info on the FK part. It could be an Engineer Outfit, however, The Army Aviation Unit was known as the Flygvapnet from 1916 and 1926 when it became a separate branch, the Air Force. Here are a few of the photos; almost all of the larger parts are marked with the last 3 digits of the serial number, including the stocks! Bakka9 - the bigger picture is that Woody_be is in Belgium and I, Texas. Importing a 9MM Browning Long Barrel from Europe (and exporting one to there) would be a big hassle. Small Arms barrels are on the State Department Munitions List and would require, among other documents, an Export License. A very interesting pistol. Thanks for posting. Last week I went to the range with the gun in .380. The gun functioned flawlessly with the range ammo I have. However, this gun screams .380 is an insult to shoot out of me! Periodically I would check Gun Broker and E-Bay for an illusive barrel; bam, there it was, an "armorer's set" - a cardboard box with an in the white slide, magazine, and a 9x20 Barrel! It cleaned up nicely; installing the barrel took a few tries - but with a few drops of Mobil 1 on the threads - it fits. It also shoots! Once I upload the pictures I'll post them. Finally got one, but in 9 mm BL...after some research it is not that difficult to reload.so thursday is gone be first range session. 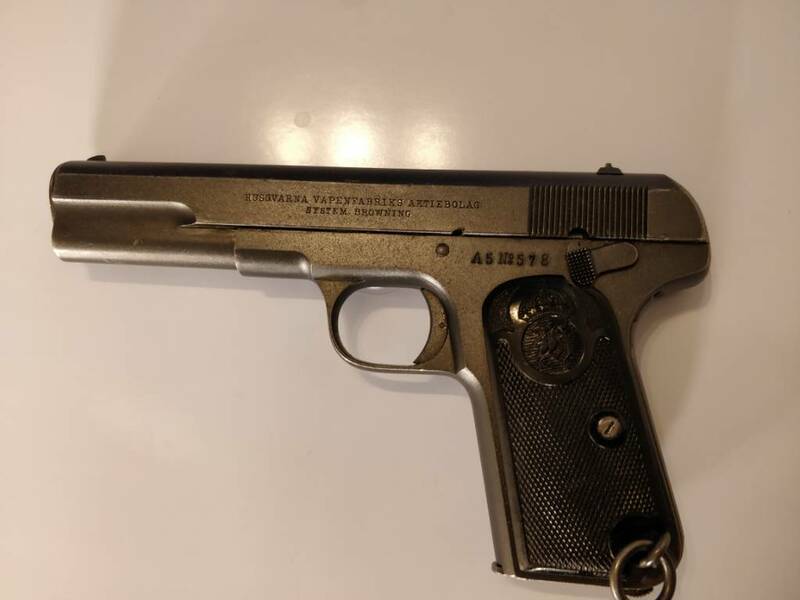 I found mine in .380 would not extract correctly since the rim is different and they did not modify the extractor, it worked much better with the original cartridge and barrel. 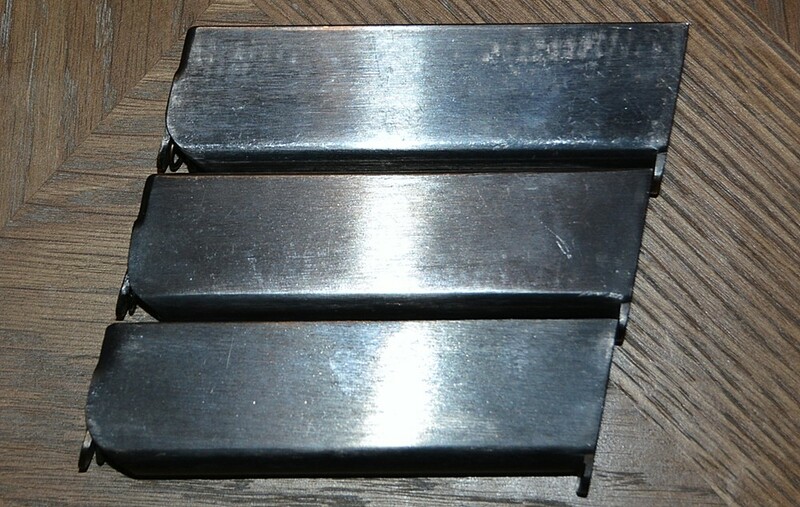 Why .380 and not 9×19mm Parabellum? You'd think a new recoil spring and barrel would do the trick. 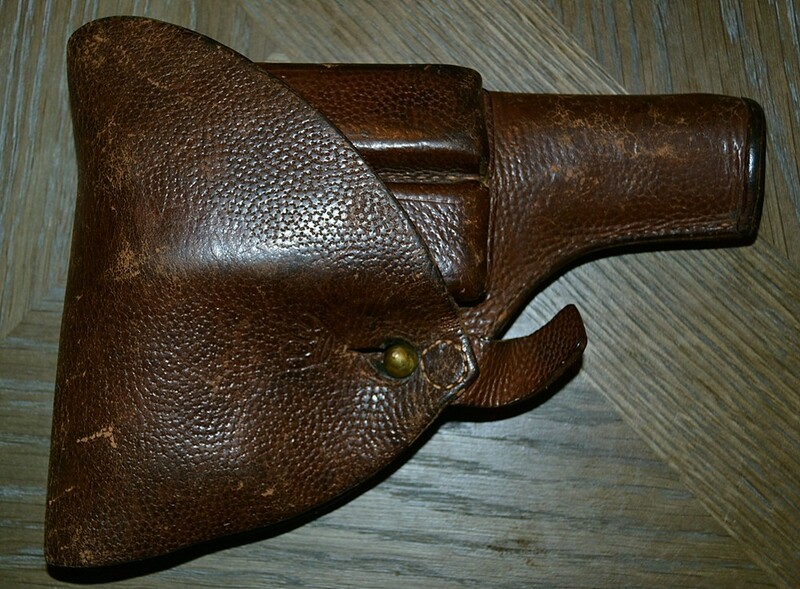 FYI, I was on Sarco's web site this morning and noticed that they had used Swedish 1907 holsters for $10. Since this is a blowback and not a locked breach it might be a bit hard on these pistols. I thought I had posted this but no. I scored an original, like new in the box, 9x20 barrel! It fit right in the gun; then I bought some 9x20 ammo. Scarce, but I got over 400 rounds for it!